The last 12 months have been shaped by a series of dramatic macro-economic events that have strummed up uncertainty and shaped economies around the world. Uncertainty is challenging. However, those local businesses that are agile, pioneering, and able to adapt quickly to change, can reap rewards. In fact, challenging environments often present unparalleled opportunity for those ready to step up. UAE manufacturers using modern technologies and software can keep themselves agile enough to respond quickly and adapt to market changes. Software such as enterprise resource planning (ERP) solutions is enabling manufacturers to adapt their entire supply chains to peaks and troughs in demand to allow for changes in the market. Many businesses are guilty of thinking technology can fix all of their problems. Over the last few years, we have therefore seen tech investment go through the roof, and according to research in the Epicor Global Growth Index, technology remains a high priority for 74 per cent of high growth companies. With new technology comes new data. Many business leaders have therefore been left up to their knees in a quagmire of big data, with 77 per cent in the manufacturing sector agreeing that they are having to deal with more and more information every day. For those UAE manufacturers that can put their data to good use, 2019 will be a good year. We can expect to see smart manufacturers use data from their ERP systems to generate real insights. Many will be seen using predictive analytics to pre-empt shortages or high demand in the supply chain, for example, and those who do this well will quickly become preferred and reliable suppliers to their customers. According to IDG, 73 per cent of enterprises have at least one application, or a portion of their computing infrastructure, already in the cloud. However, despite its prevalence elsewhere, manufacturing has been slower to adopt cloud than other industries. According to some reports, digital services such as cloud computing now provide at least 25 per cent of the total inputs that go into finished manufactured products. However, this barely touches the surface of what is really possible. For local UAE manufacturers, cloud technology makes industry-specific software much more accessible for small players by lowering the total cost of ownership for users—something that will redraw the competitive landscape in 2019. When we shop on Amazon, the consumer journey is all very easy. This user experience is now something that customers are beginning to expect—not just in the B2C sector, but in the business world too. In fact, according to recent research , more than eight-in-10 business buyers want the same experience as when they’re buying products for themselves. Ultimately therefore, the manufacturers who will succeed next year will be those that can create highly customised products that are delivered faster than any competitor. This is the challenge presented by the Amazon Effect, and it’s a tough one. Epicor research shows the majority of manufacturers (65 per cent) expect to tackle stresses and challenges next year, but 2019 will see some manufacturers respond to this challenge with online user journeys, personalized product offerings, and customer engagement pre-purchase through to delivery and beyond. A people and skills shortage continued to plague the manufacturing industry in 2018, and this is only set to continue into 2019. According to a recent study by Korn Ferry, by 2020, the skills shortage in the UAE will translate to $14.46 billion of unrealised output and this figure will soar to $50.55 billion by 2030. Implementing new technology and ways of working can help businesses maintain and improve production levels despite their resourcing pressures. Because robots can automate repetitive tasks, they are an effective way of relieving a strained workforce from manual or difficult labour. However, the pressure is still on businesses to encourage new recruits into industry. Here too, the businesses that can use automation effectively will be at an advantage, with Epicor research showing that 41 per cent of young people want the opportunity to work with the latest technology. Robotics and artificial intelligence (AI) are a big draw for young talent, and with software solutions like ERP enabling their investments, businesses can truly take advantage of these innovations. There’s no doubting the challenges that local UAE businesses have been, and will continue to be, up against as we head in to 2019. But put technology in the right places and it’s possible to turn these challenges into opportunities. 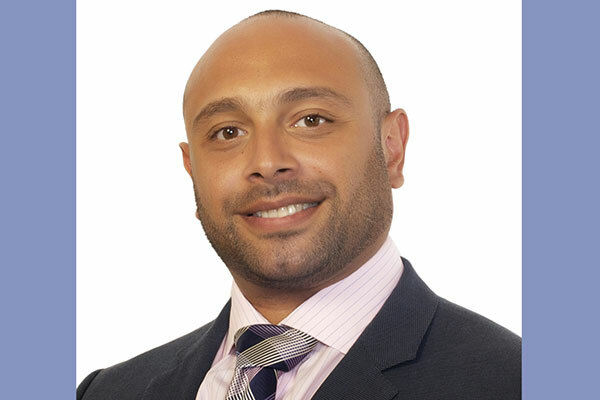 Hesham El Komy is regional vice president, Middle East, Africa & India (MEAI), Epicor Software.